Wigan produced an impressive team performance to overcome newly promoted Southampton at St Mary’s. 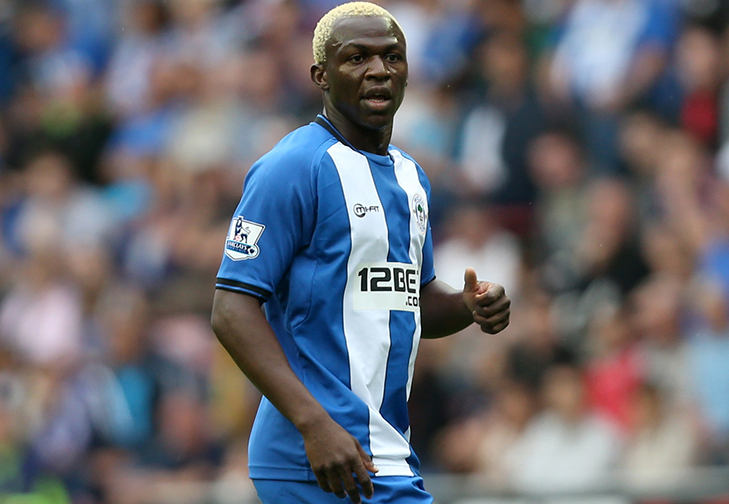 The Latics had Arouna Kone making his full debut replacing the newly departed Victor Moses who had completed his £9m move to Chelsea on Friday. It was the Saints first home match since their 27 year reign in the top flight was ended in May 2005. In a dour and relatively unremarkable first half it was Southampton who went closest to scoring when Adam Lallana hit a rasping 25 yarder but his effort was excellently turned onto the bar by Ali Al Habsi. The teams went into the interval evenly matched. But early in the second half the match sprung into life. Rickie Lambert – who scored 27 goals in the Championship for Southampton last season – forced Al Habsi into a good save from a header before Franco Di Santo opened the scoring for Wigan a minute later. The Argentine striker ran onto an incisive through-ball by the diminutive Shaun Maloney and powered his shot into the roof of the Saints net from an acute angle. Wigan then had another good opportunity when Maynor Figueroa put in a good low cross but Kone was unable to make contact. Southampton counter attacked and Lambert had another good attempt from 25 yards saved by Al Habsi. Later Jos Hooiveld headed onto bar but Wigan had by then established a grip on the game and were dominating possession. The pre season hard work was paying dividends as they went on a passing spree, moving the ball from side to side and in neat training ground interchanges. For long periods the Saints just couldn’t get near the ball. Kone had a great chance to double the lead when he slid in on goal but his side footed effort went just inches wide of the right hand post. Jordi Gomez on for Di Santo had a good shot from the edge of the box well saved by Davis. However, the result was sealed in the 89th minute when Jose Fonte was dispossessed by Kone on the half way line and the Ivorian raced in on goal before coolly slotting past Kelvin Davis. At the end the game the Latics fans sang “Welcome to the Premier League” to the Saints fans. The result provided a harsh warning to Southampton about the realities of Premier League football. It was an accomplished team performance by Roberto Martinez’s men and an indicator of the good things to come for Wigan this season. This entry was posted in Arouna Kone, Franco Di Santo, Wigan Athletic and tagged Arouna Kone, Franco Di Santo, Southampton, Wigan Athletic. Bookmark the permalink.